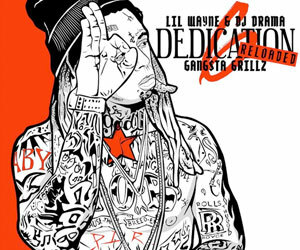 I have chosen Akon‘s “I’m So Paid” single featuring Lil Wayne and Jeezy for this week’s “Feature Friday” edition. The Detail-produced track, which was released in 2008, appears on Akon‘s third studio album that came out in the same year, Freedom. You can watch the official “I’m So Paid” music video below that was directed by Gil Green. Click here to read the lyrics. 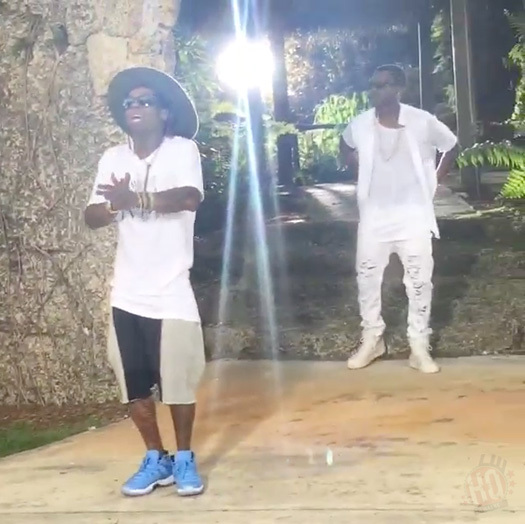 Here is the official music video for Ray J‘s “Brown Sugar” single featuring Lil Wayne. The visual was shot at a bar in Pacoima, Los Angeles, California on May 28th and the song was produced by Detail. Click here to check out some behind the scenes photos and footage from the “Brown Sugar” video shoot! Ray J and Lil Wayne shot a music video for their “Brown Sugar” single at a bar in Pacoima, Los Angeles, California yesterday (May 28th). You can view 2 more photos, as well as check out some behind the scenes footage from on set of the video shoot after the jump below. If you have not yet heard Ray J‘s “Brown Sugar” collaboration with Weezy that was produced by Detail, click here to listen to it! 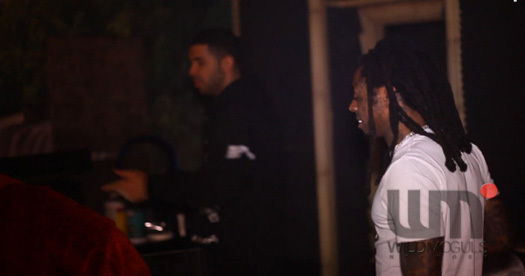 Wild Moguls have released some footage that they filmed at the YOLO Estate in Los Angeles of Drake, Lil Wayne and Noel “Detail” Fisher working on music, as well as having a little party with a few females and champagne bottles. The date of when this footage was filmed is currently unknown, so we don’t know if this studio session was for a previous Weezy and Drizzy collaboration, or a new song that has not yet been released. You can watch the rare clip after the jump below. Drizzy Drake also shows that he can throw a American football into a basketball hoop with no problem at all! 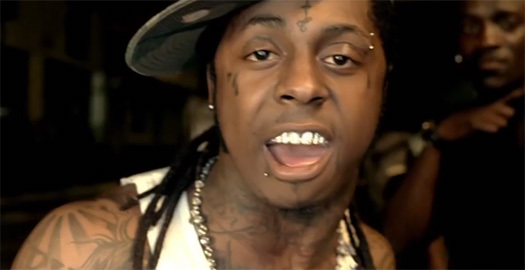 Here is the official music video for Young Money‘s street single “We Alright” featuring Lil Wayne, Euro, and Birdman. 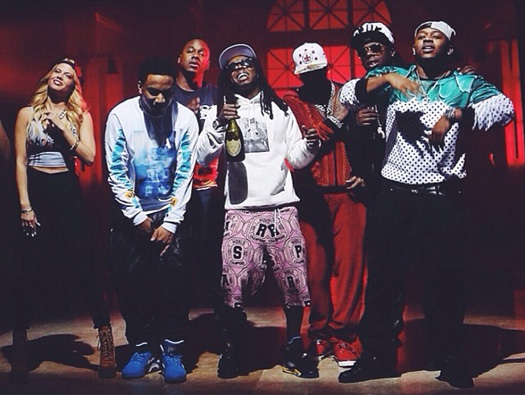 The visual, which was directed by Colin Tilley, includes cameos from YMCMB members Chanel West Coast, Christina Milian, Cortez Bryant, Detail, Flow, Gudda Gudda, Jae Millz, Lil Twist, Mack Maine, PJ Morton, Shanell, Santi Cargo Rubirosa, as well as Braydon Szafranski, Compton Menace, Theotis Beasley, and YoYo. 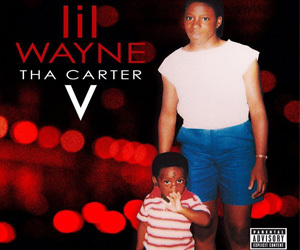 This S-X-produced track will appear on the forthcoming Young Money: Rise Of An Empire album, due to be released on March 11th. Click here to view some behind the scenes photos from the “We Alright” video shoot!